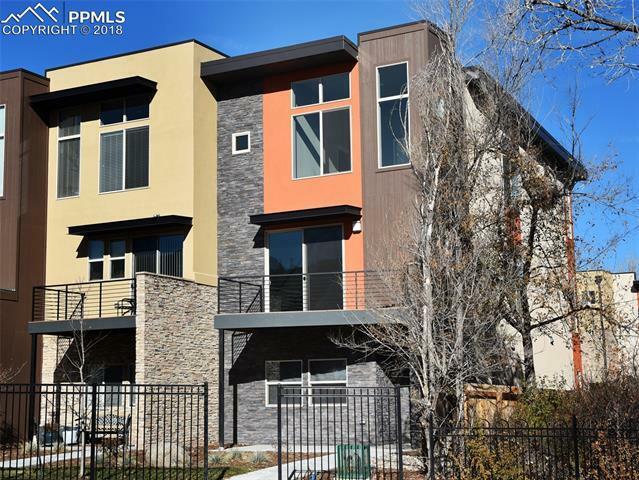 An exciting contemporary design sets apart this brand new, 3-bedroom executive townhome with attached 2-car garage in historic Ivywild. The gourmet island kitchen is a chef's dream with gas range/oven, quartz counters, stainless appliances, wood flooring & walk-out to deck with mountain views. The spacious great room with fireplace, wood flooring & dining area provides an ideal setting for entertaining. The upper level master offers a gorgeous upgraded bathroom, walk-in closet plus a private balcony with mountain views.